As fall begins to set in the migratory birds begin to make their way south for the winter. It is not uncommon for birds to become road kill. A pigeon is big enough to shatter your windshield. As the weather gets colder, any little crack or chip in your windshield can become a larger crack and require windshield replacement. If you have chips in your windshield or rear windshield then get them taken care of before they become cracks. Not all chips or cracks can be fixed. If the chip is too deep or a crack too extensive then the windshield will need to be replaced. Sometimes that is paid for by insurance coverage and sometimes it is not. Only One Auto Glass works with all major insurance carriers. They go out of the way to make the claims process easy and successful. Do not put off repair because you don't want to deal with your insurance company. Only One Auto Glass will deal with them for you. Remember that it is a lot less expensive to have a chip repaired than it is to have to replace the entire windshield. Being proactive about auto glass repair will save you money over auto glass replacement. There are a lot of hazards on the roadways that can cause a broken windshield or chips in your windshield. Loose rocks, objects that fall off trucks and wildlife are a few of the common things that can damage your windshield. If you have a vehicle with a special windshield then, you pay close attention to its structural integrity. The Heads Up Display (HUD) windshields are expensive. They can run anywhere from $500-$1500 or more. Other types of windshields with special features such as embedded antenna are also expensive to replace. We point out these expenses because we want you to understand that a small chip can often be repaired and a fraction of the cost of replacing a windshield. Why Choose Only One Auto Glass? 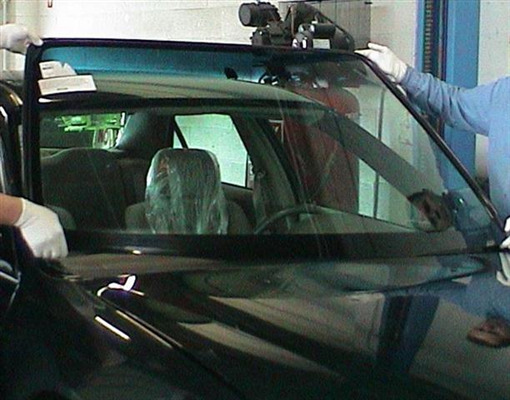 We offer an extraordinary amount of experience in windshield repair and auto glass repair. We have over 200 years of combined experience providing our customers with outstandingly high caliber customer service. We are the top choice for St Paul Auto Glass replacement. In addition to our outstanding customer satisfaction, we offer our customers value. We save you time by being mobile or allowing you to come to our shop. We save you time by being able to deal with your insurance company for you. We save you money by offering a cash discount. We are also a green company. We focus on recycling glass and by using environmentally safe products. All of our work is performed to factory specifications and we use quality replacement glass that is to factory specification, or we can order genuine manufacture glass for your vehicle. We provide outstanding service to the entire Minneapolis and St Paul area. We are an employee-owned company, and we put our pride into every job we do. We replace all auto glass including mirrors, side windows, rear windshields, front windshields and even moonroofs and sunroofs. We not only replace your broken glass, we will clean up the broken glass. If your car has been vandalized or you have just picked up a chip from a rock, we are your best source for service and care of your car's glass. For expert services from people who know how to treat you and your vehicle, call Only One Auto Glass and let us give you a free estimate for chip repair or windshield replacement. Call us today, we are easy to deal with and professional.